Reports claim new bid is imminent, withBroadcom set to unveil nominees for board of directors. Broadcom is preparing to take its bid for fellow chipmaker Qualcomm to a new level, reports have claimed. The chipmaker is set to unveil nominees for Qualcomm shareholders to vote into the company’s board of directors, Reuters reported this Monday. In what’s seen as a hostile takeover bid, Broadcom will suggest nine men and two women for Qualcomm’s board of directors. Reuters says that according to people familiar with the matter, all nine have ‘considerable experience in the technology sector’. It was also said that private equity firm Silver Lake has helped with recruiting the nominees. Silver Lake is Broadcom’s investor, as well. The move comes after Broadcom’s initial acquisition bid of $103 billion cash-and-stock was turned down last month. This bid was rejected for being too low, however it seems that Broadcom won’t be raising its offer until March, depending on how the board of directors’ reception amongst Qualcomm shareholders. Qualcomm’s shareholders have indicated they expect at least $80 per share in order for a sale. Both companies declined to comment on the latest news. 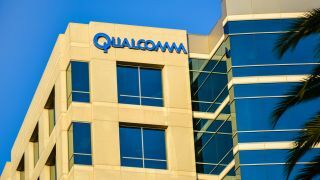 According to Broadcom, the Qualcomm acquisition might take a full year. Qualcomm, on the other hand, thinks the regulatory review process could last even longer. Qualcomm builds chips for carrier networks, allowing them to offer end clients broadband and mobile data. According to Reuters, it is currently trying to acquire NXP Semiconductors NV, an automotive chipmaker. The deal was signed in October 2016. It is also battling patent infringements with Apple.